Approx. 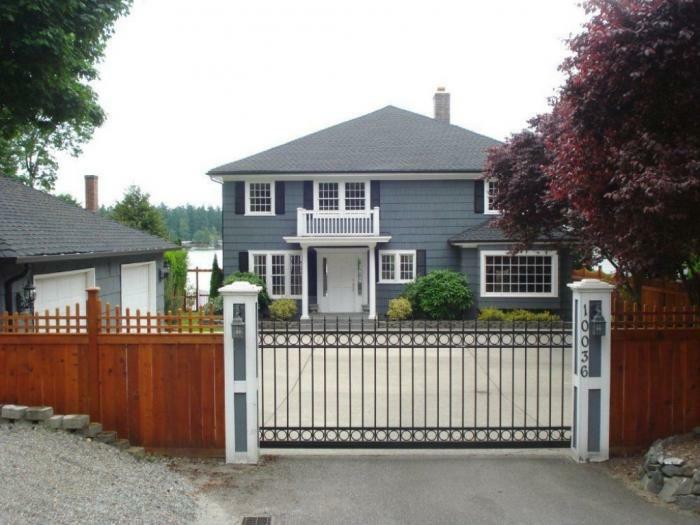 5 miles away from Chambers Bay golf course is this beautiful 1924 historic, privately gated 4 bedroom (sleeps 8-12 comfortably), 2 bath, 3,939 sqft lakefront home directly on Steilacoom Lake with western exposure. This home will create the ultimate vacation experience complete with boating, fishing, water sports, kayaking, or the always enjoyable rest and relaxation. Home features a spacious floor plan with separate formal dining and eat-in kitchen space. 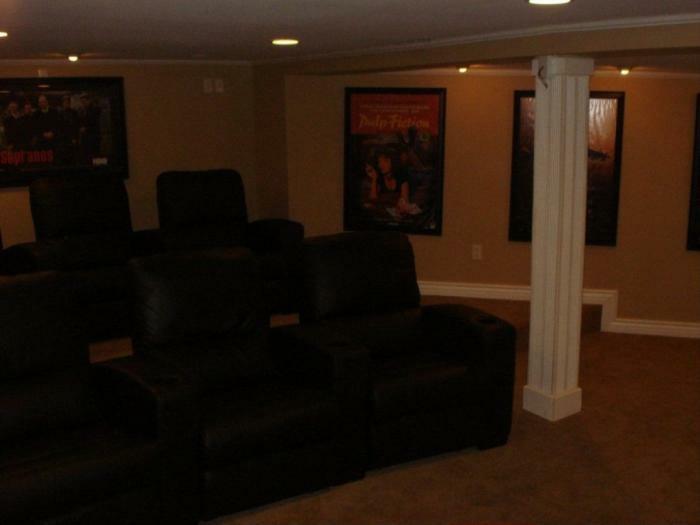 Finished basement includes a home theatre and large laundry room. 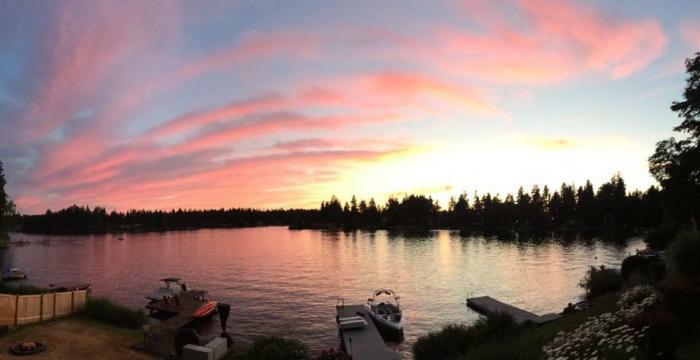 The exterior boast gorgeous lake views and stunning sunsets. 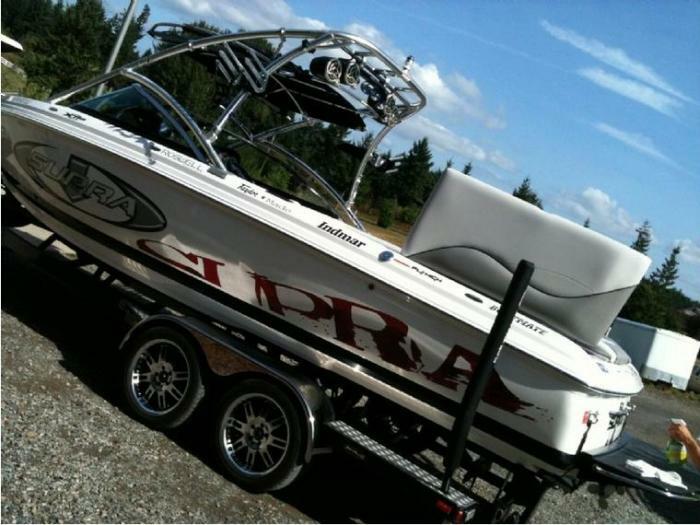 Optional features: Competition wakeboarding/Surf boat and newer automobile use negotiable for valid drivers with proof of insurance. 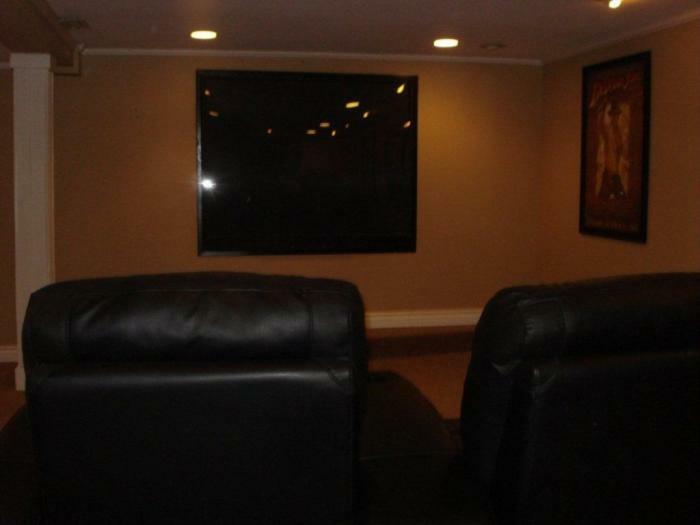 neighbors home may also be rented for large groups or multiple families that want to rent together. 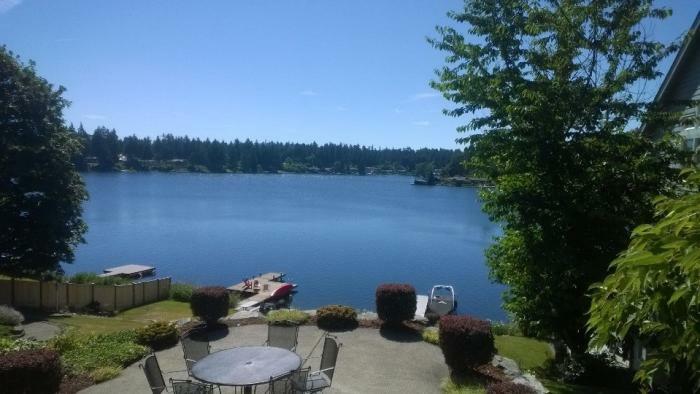 This rental is located in Lakewood, Washington 98499 and has 1 upcoming nearby event.